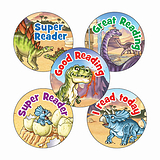 These marvellous dinosaur themed reading record books are ideal for teachers, T.A.s and parents to keep track of pupils' progress and achievements in reading. 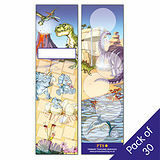 Each A5 book has a laminated cover and 40 internal pages made of high-quality paper. 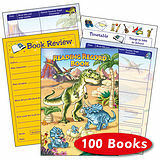 Save £7.20 (£6.00 ex VAT) when you buy this pack instead of individual record books.